Matteo’s luck with women was nearly nonexistent. His last girlfriend broke up with him on the day he was set to propose, and that was just the tip of the iceberg. Five years later he was comfortable with the walls he’d built up and his quiet life, but his family had other ideas. So he lied. Making up a girlfriend wasn’t the most mature decision he could have made, but it had undoubtedly been the easiest. Lacey only agreed to pretend to be Matteo’s girlfriend for the week-long wedding trip to pay off her impending tuition. If she could pull it off, then she’d be set, but his offer came with a stipulation. If she couldn’t pull it off, she wouldn’t get the money. 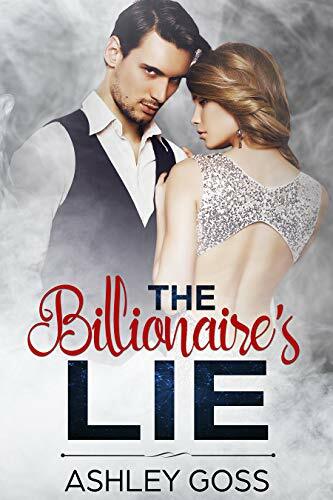 Living a lie for one week will change them forever, but when the island gets hit with a hurricane, and they are forced to spend the entire day alone together, Lacey starts to realize Matteo has a lot more to him than he leads on. 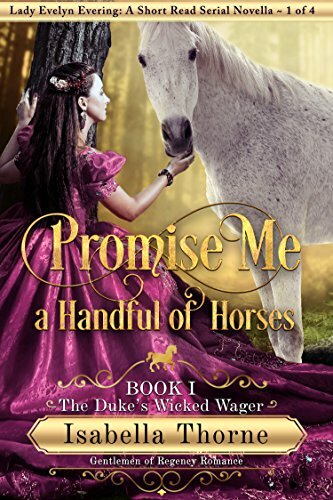 Will Lady Evelyn lose her prized horses to the Duke…or will she lose her heart? Lady Evelyn Evermont is an avid horsewoman. At least she was before the death of her father, the Marquess of Evermont. Now Lady Evelyn is charged with trying to dissuade her brother Frederic from squandering the family fortune and leading them both to ruin. So when her brother’s drinking and gambling threatens her horses, Evelyn must act and act quickly. Frederic’s solution is to marry her off to a rich old Marquess. In desperation, Evelyn wagers the handsome Duke of Pemberton, that her mare can beat his stallion in a turf match race. The Duke states that a mare can never beat a stallion, but he takes Lady Evelyn’s bet, commenting that it is only handful of horses…but those horses are Evelyn’s life, and all she has left of her father. Embark on a wild race for horses and hearts. A wicked wager made in haste, a stolen kiss, an unsuitable suitor and a tragic tumble threaten everything Evelyn once held dear. The stables of Evermont will never be the same. Lady Evelyn and the Duke will struggle with passion and pride…and learn that maybe one is not worth the other.